On April 24, 1915, the Turkish government commenced acting on its genocidal plan to eliminate all Armenians living in the Ottoman Empire, by death or expulsion. Historians estimate that there were roughly 2 million Armenians on Ottoman soil at the onset of the massacres, and by the early 1920s as estimated 1.5 million of them had been killed — about three-quarters of the total Turkish Armenian population. Those who were not killed directly by outright violence were driven in death marches out to the desert, where they met their end by dehydration, exhaustion and starvation. To understand this savaging of a people, we need to back up a few years. The Ottoman Empire was largely Muslim, with only superficial tolerance of religious minorities, especially Christians. 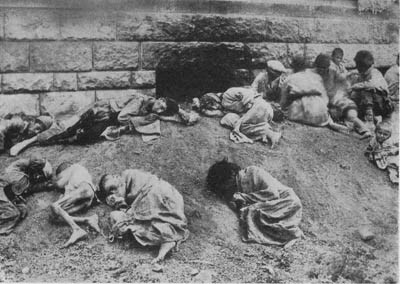 In the 1890s, the first Armenian massacre took place, in which hundreds of thousands of Armenian Christians were killed under state sanction. When the Turks entered World War I in 1914 as allies of Germany and the Austro-Hungarian Empire, Christian Armenians were viewed as traitors, expected to side with the Ottoman’s opponents. Long-standing suspicion of the Armenians and the cloak of war led to the Turkish government’s “removal” of the Armenian people. The massacres that followed included top-down government-led attacks and executions, as well as incitement of Turkish civilians to join in the killing of Armenian men, women and children. A Turkish official teases starving Armenian children with a piece of bread. The Turkish government has never acknowledged the scope of the atrocities committed against its resident Armenians, and in Turkey today it remains a crime to even raise the issue of the Armenian genocide. Many of Turkey’s Western allies, for political reasons, are hesitant to use the term genocide to describe the crimes committed by Turkey almost one hundred years ago. 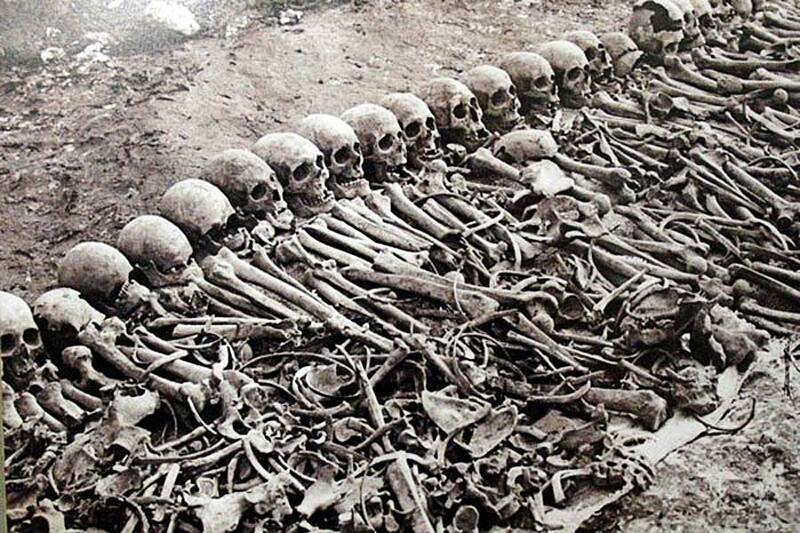 Although the international legal definition of the crime of genocide was not formulated until 1948 with the Convention on the Prevention and Punishment of Genocide, an examination of Articles II and III of this convention make it clear that crimes committed against the Armenian people constitute genocide. These articles serve as a checklist for the atrocities that were committed against Armenians in Turkey. They also direct our attention to the reality that justice has never been served on behalf of the 1.5 million Armenians who were killed. The Turkish government continues to deny that the crimes committed constituted genocide, and has thus far avoided any responsibility or punishment for the atrocities.